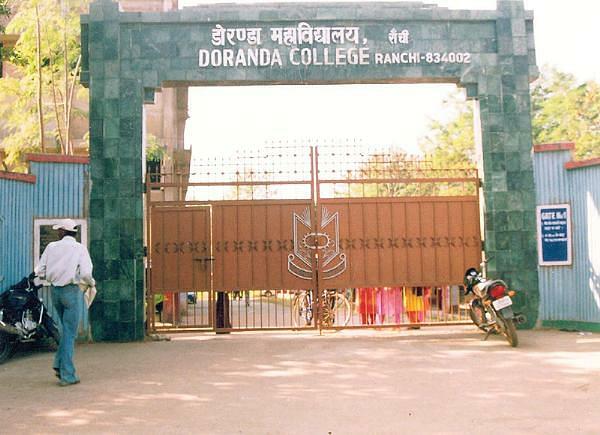 Doranda College, Ranchi is an outcome of the dream of a local philanthropist who wished that the students should get a holistic education for the diverse world. 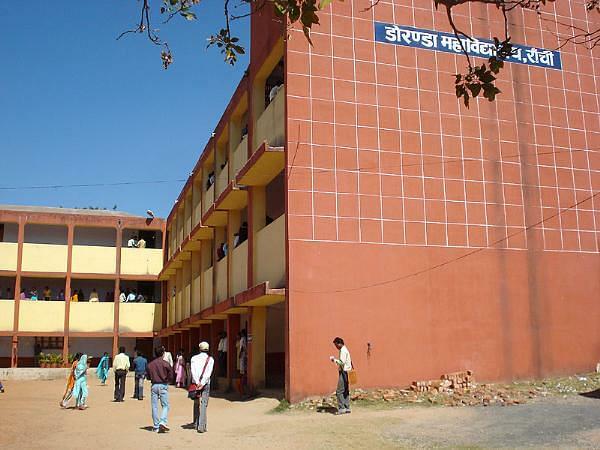 It is a NAAC accredited constituent college under Ranchi University from April 1997. 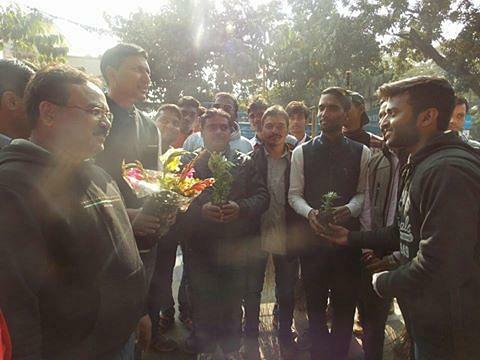 The unique atmosphere filled with democracy which under the banner of NSS takes up social causes of AIDS, deforestation, environmental pollution, population explosion & the like. The college observes various activities like tourism day & Karate camp. 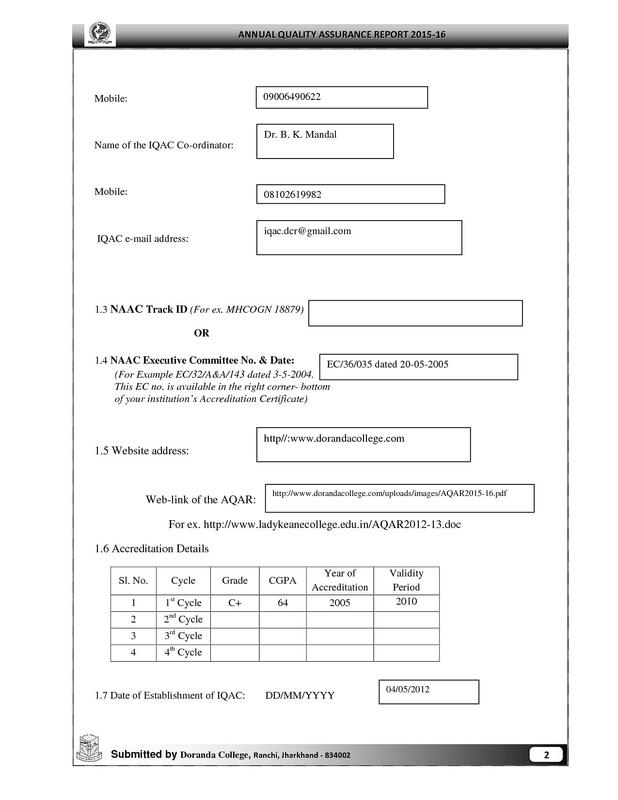 There are remedial courses for SC/ST/OBC duly approved by UGC, New Delhi. 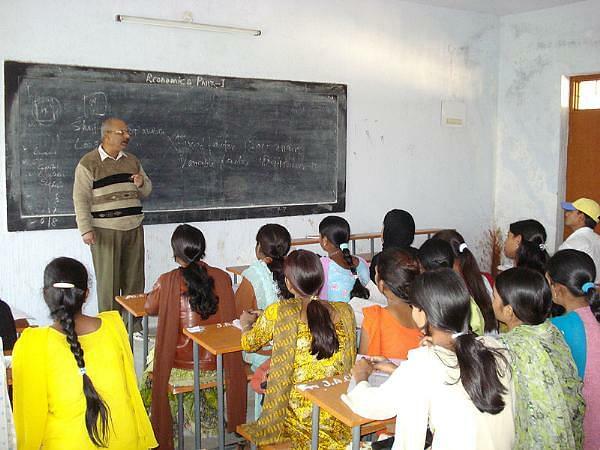 The motto is to combine tradition & innovation in teaching by the experienced faculty. 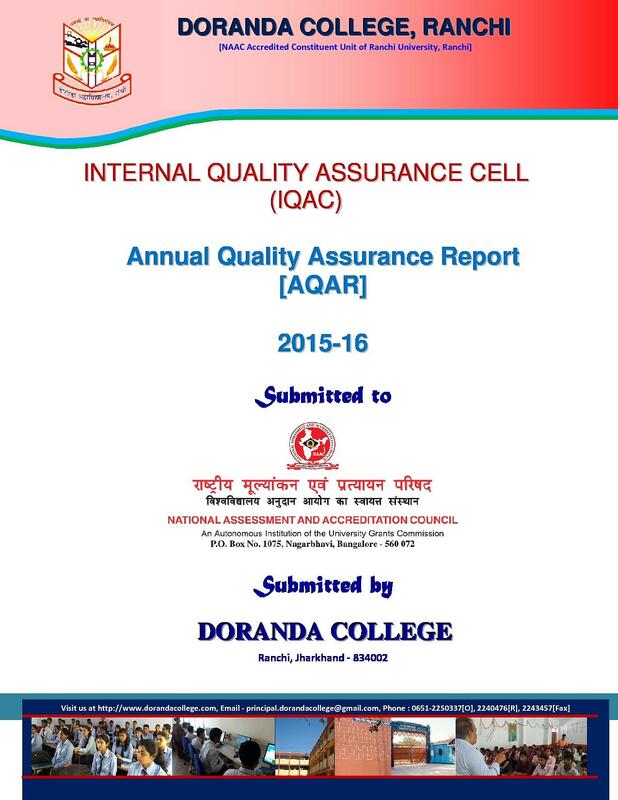 Why Join Doranda College, Ranchi? Training & Placement- A well-developed Training & Placement cell organizes various seminars for the students & ex-students by inviting various MNC’s, companies & government organizations. For vocational course students, it trains the students in the related field of job-hunting. It also arranges outing experiences for the students. Laboratory- The laboratories have latest equipments & the classrooms are well-furnished. I'm graduate with B.com 62% in 2018 so want to take admision in M.com, When will admission start? 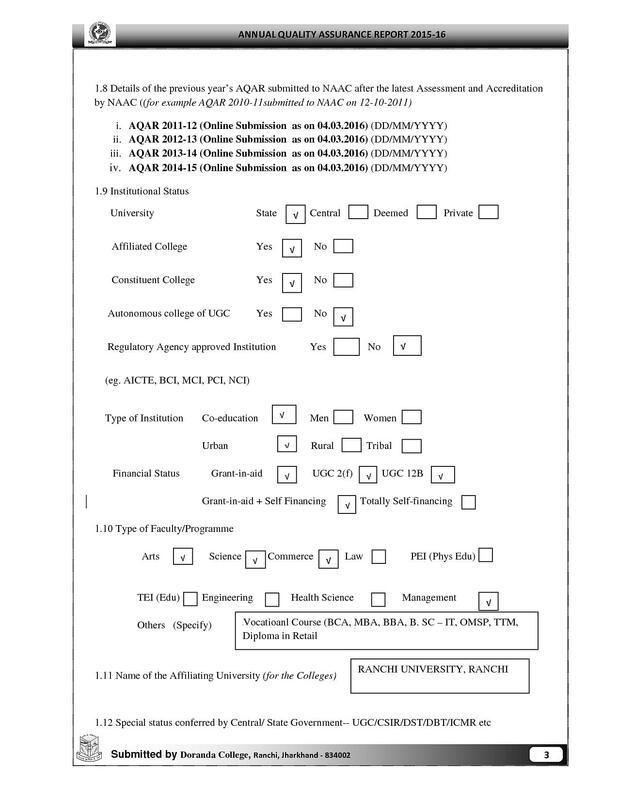 Hi Avinash, for admission dates, visit the official site or contact the college at 0651-2250337 , 2902800. 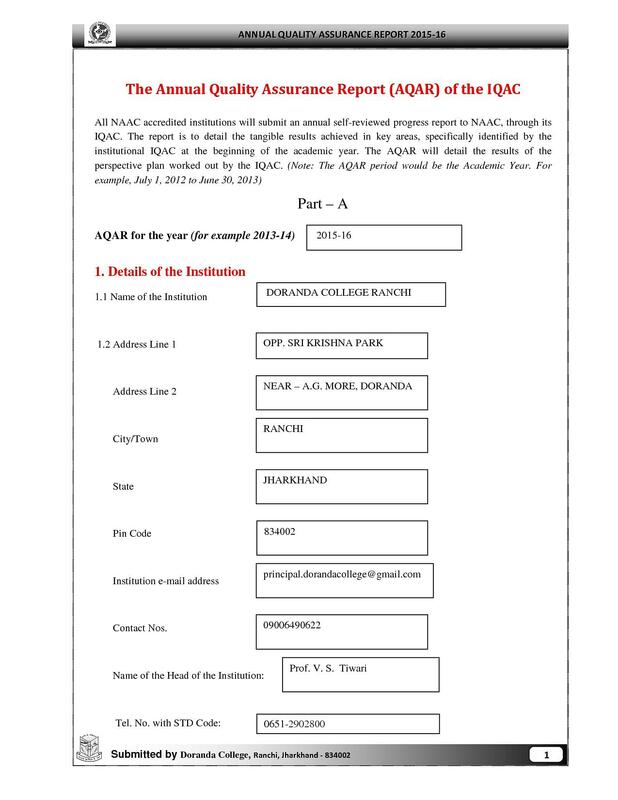 Hi Anmol, Please contact to this number:- 0651-2250337,2902800 for getting the Admission details of the college. Hi Sharmila, Please contact to this number:- 0651-2250337,2902800 for getting the Admission details of the college. Mrs. Manju LalAssistant Professor, Department of Hindi.